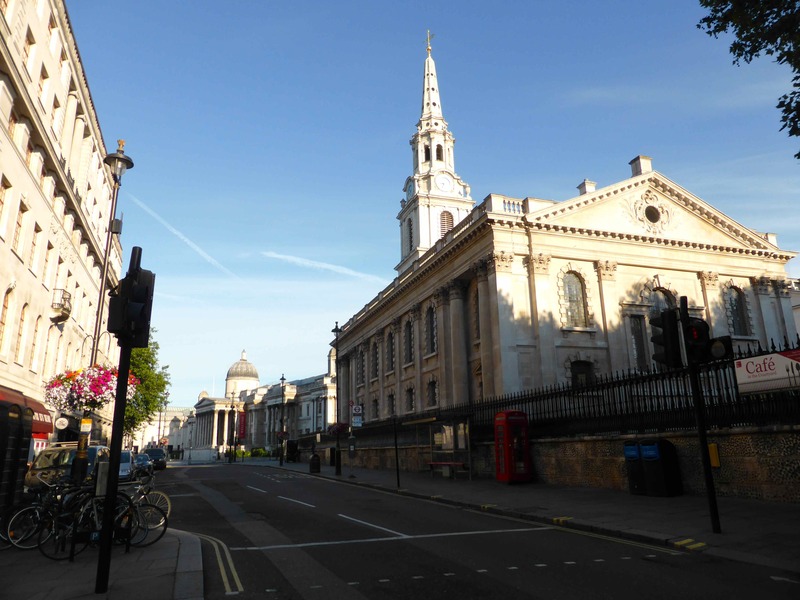 I was up ridiculously early this morning and walking about in the bright early morning sunshine in Central London just after 6:30am today. The area opposite the station has lots of homeless people. 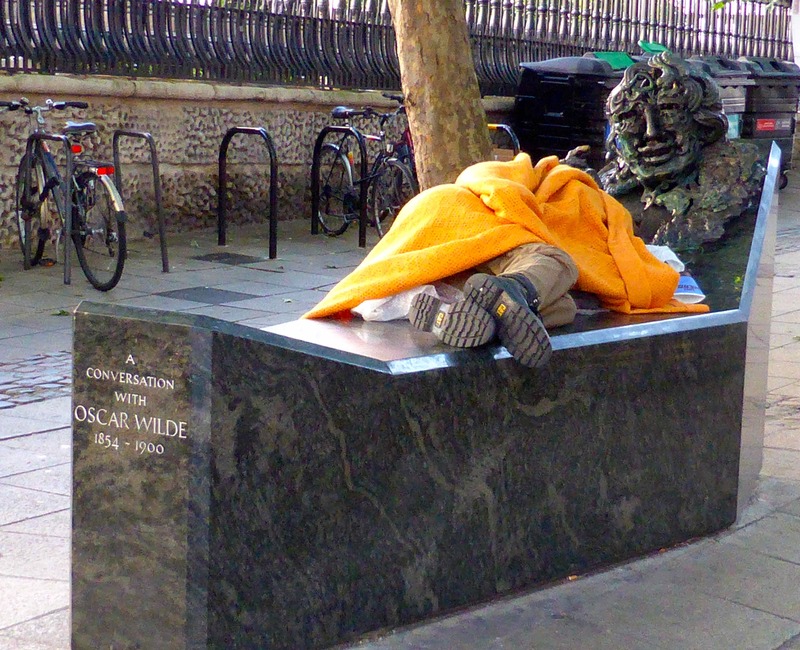 They are often seen in their sleeping bags on the steps of the many theatres in this part of London but I have never seen someone sleeping on the Oscar Wilde sculpture before! When I returned to the same place later today, I found a small and gorgeous boy there, who I took home with me. He seems to be settling in very well and I think we shall keep him. I did quite well with food today until my mishap. 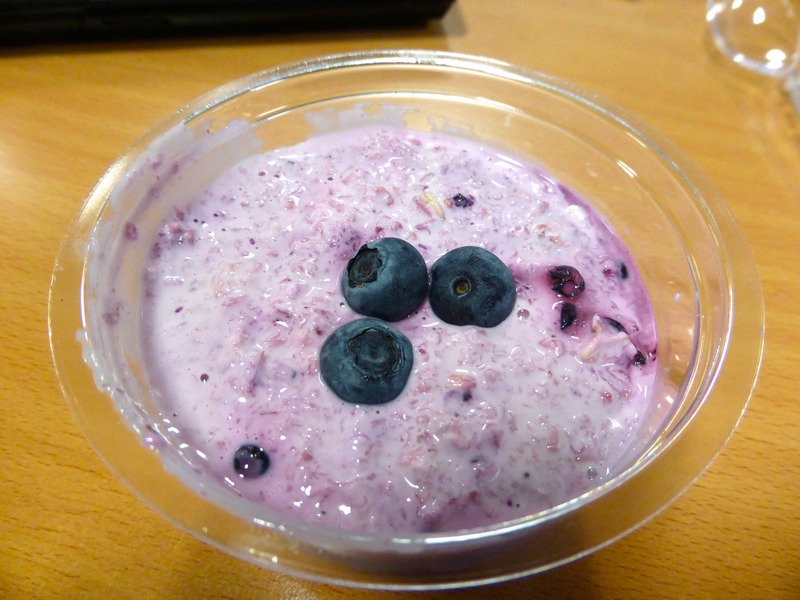 Blueberry bircher muesli for breakfast from Pure. 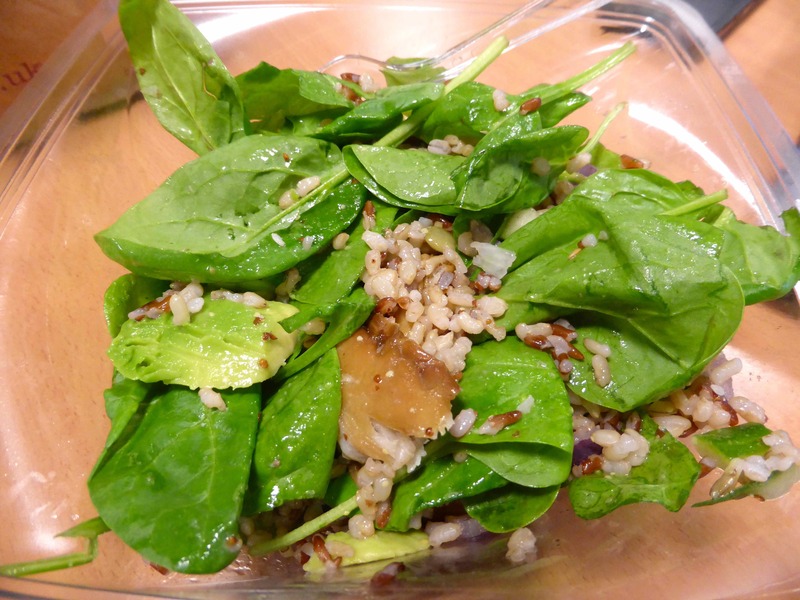 Yummy mackerel salad for lunch from Pure. But then a major blip by eating a cream slice (someone’s birthday cakes at work) and helping the boy finish chocolate on the way home. 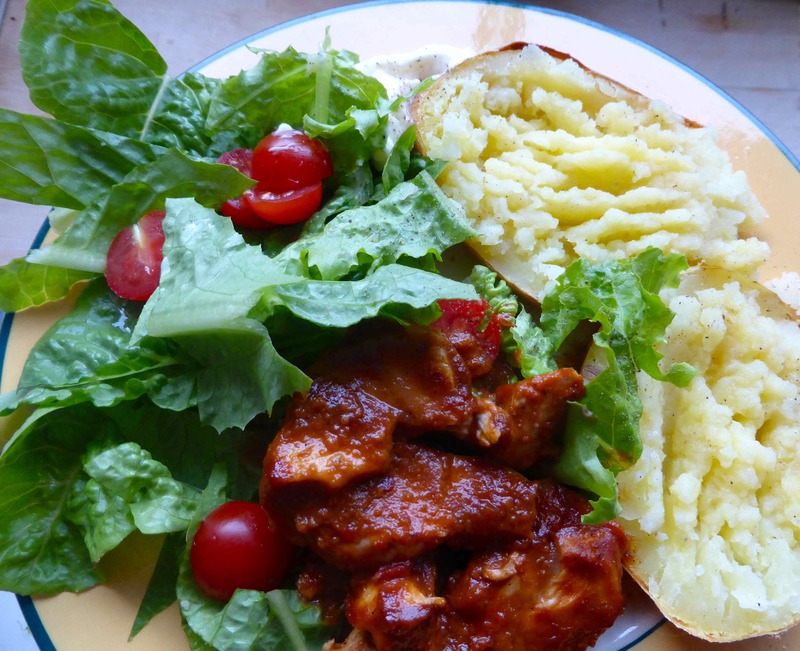 Supper was tasty; jacket potato, chicken in a spicy BBQ sauce and lettuce (just picked from the garden) and tomatoes. No snacking afterwards which is the first time in a while I haven’t done that so that is good. Another busy evening ensued. I prepared some courgettes for a courgette, Feta and pine nut salad I am making for tomorrow evening’s party over the road, spent ages watering the garden (please rain overnight), put away an Ocado order, completed my Quarterly VAT return (thanks to hubby for doing it all really) plus standard evening chores. Now it’s time for bed and apart from eating supper, I haven’t sat and relaxed yet! 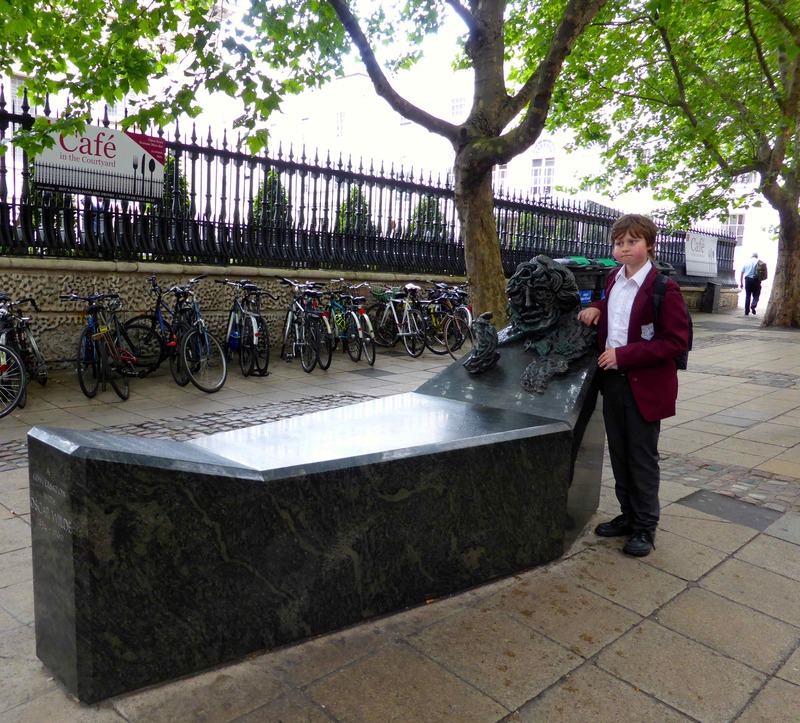 By the way, Harvey was on a trip to the theatre with his school so I collected him from the theatre rather than making him go all the way back to school before coming home. I obviously didn’t really bring home a stranger. 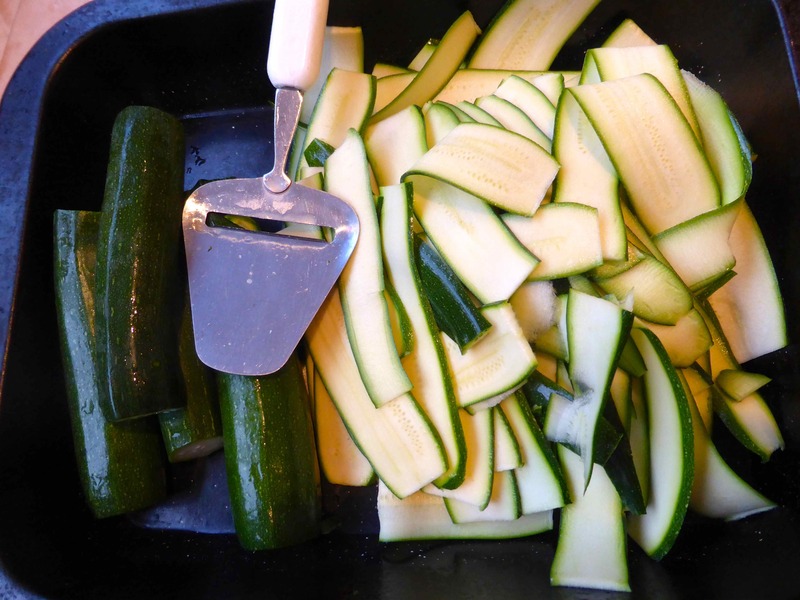 This entry was posted in Uncategorized and tagged Courgettes, London. Bookmark the permalink. What a shame we didn’t see each other !! Look at how much your little boy has grown up since I first met him. Congratulations on a great day. I know, my little boy is almost becoming a teenager. He is still sweet and cuddly and I make the most if it every day as he will soon be more man than boy.